Why should you buy through AYC ? Since 1994, our passion remains at your service to give you advices and help you to select your next boat and secure the whole transaction. 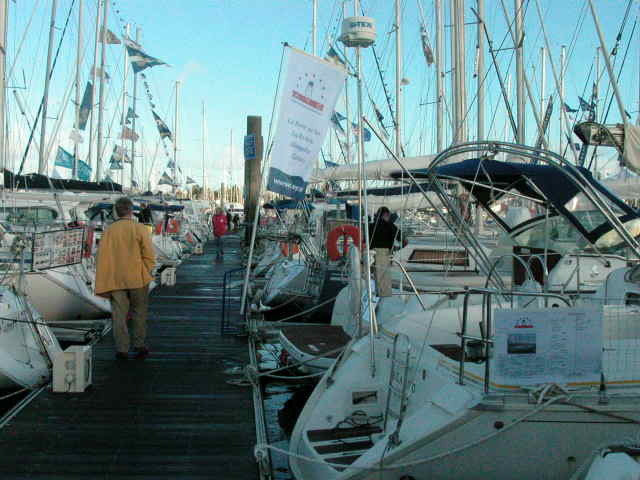 We usually have around 300 boats for sale, everywhere in France, abroad or sailing. We carefully inspect the boat with the owner to build a complete list of equipments and to shoot a photo report. This inspection also helps us analyze the whole boat and to refine the displayed price. If the boat is located too far from our agencies or sailing, we ask the owner to send us pictures and a complete equipment list. This file allows you to virtually inspect the boats we have for sale. The pictures we display on our websites are really pictures of the boat. This prevent you from losing time, energy and money when viewing boats that would not fit your expectations. We want our equipment lists to be as precise and detailed as possible with comments about the age and condition of each item. Our experience about blue water cruisers can help us to advise you depending on the sailing program you planned or the estimated lenght of the travel you want to achieve. We also have to think that your boat will be for sale again once you will come back. Unless if the boat is situated too far from our agencies, we try to attend every viewing we plan, and we have a "visiting coupon" form to avoid any ambiguity upon the client origin and identity. The inspection helps us to find out what are the client expectations and needs. We like to have the owners aboard during visits because nobody knows their boat as well as them. As soon as an agreement is found concerning the boat and its price, we edit a preliminary sales agreement. In general the owner takes the boat out of the water for the surveyor to inspect the hull. An oil analysis can also be done with the engine and genset oil for the surveyor to detect a specific defect of one or the other. If the survey report does not show a majot flaw, the sale will be able to go an and to be concluded. If not, the works will be ordered and paid by the owner or the preliminary sales agreement will be voided and the 10% deposit refunded immediately. If the boat is in a lease plan, the leasing company can transfer the lease plan to the new owner. This french disposition is interesting because of the reduced VAT. We can also help you and obtain a classical credit to finance your boat. We can ask our partners to quote a financing plan for you. When the surveyor's report does not show any major flaw and when all the other suspensive conditions are clear, the "Actes de Vente" (sales act) can be signed and the 90% balance can be tarnsferred to our escrow account. As soon as the ownership transfer is done, we pay the owner. The whole administrative paperworks is done by AYC with the French Customs and the "Affaires Maritimes". When the boat is "exported "inside the European Community, we deliver all the papers the purchaser wil need to register the boat in the destination country. For the english speaking countries, a "bill of slae" form is delivered to the purchasers. We can also help the purchaser to find a transportation company, an insurance company, a sailsmaker, a shipyard to equip your new ship or even a marina docking. Our fees are included in the selling price and they are directly charged to the owner.